The world of online gambling was truly bestowed a fantastic addition in 2014 in the form of Bethard Casino. It’s a highly diverse platform that offers up a huge selection of games, table games, slots and so much more. In a short space of time, this casino has gathered an exceptional following of very chuffed gamers. Bethard Casino holds several different gambling licenses, including the Malta Gaming Authority and Curacao eGaming. The site can used in English, Swedish, Finnish and Norwegian and all the games can be accessed in instant play mode or on your mobile device. Something else that really makes this online casino standout is that you can join the Bethard Sportsbook for ultimate variety and online gambling entertainment. When you head over to the casino’s home page, you’re presented with a stunning layout, complete with high quality graphics. The platform’s logo encourages you with the motto, “winners dare more” and alongside this you’re able to navigate between casino, promotions and sports pages. Just below this menu, you’ll find an assortment of different games to try. Overall, Bethard Casino proffers up a modern and very visually appealing interface for you to browse around and accessing the array of games from the home page is very quick and easy. We’d go so far as to say that this casino has a beautifully crafted site and the games come from some of the biggest and best software companies in the iGaming industry. As for banking, there are plenty of popular deposit and withdrawal options and the SSL security is second to none, so you’re assured the safety of your personal data. What else does Bethard have to offer UK players? Let’s take a closer look with this review. Bethard Casino kindly offers all UK first time players that sign up and make a deposit an exclusive welcome bonus offer that’s very different to anything else currently on the British market. In fact, the bonus truly simplifies things by making one universal offer that you can use anywhere on the platform. So, if you sign up to play casino games, or to bet on sports or mainly for the live games, the same bonus applies. It’s not a massive bonus compared to other casinos out there, but it’s manageable when it comes to playthrough. All you have to do is make a minimum deposit of £20 and wager at least £100 and you’ll get a £5 bonus during your first week of play. What’s really different at Bethard is that you can re-trigger the £5 up to 10 times, which means you could potentially get £50 free bonus money in your very first week. There are, however, terms and conditions to follow before you can make any withdrawals. What really sets Bethard casino apart is that the bonus is wager-free, which equals instant withdrawals. If you want to use your bonus in the casino or even the live casino, there is a maximum bet restriction of £10 per game or as little as £0.01 per line. Should you wish to withdraw your own funds before meeting the wagering requirements, it could result in forfeiture of your bonus. Furthermore, your welcome bonus is only valid for your first 7 days at Bethard casino. If you prefer to make deposits with Skrill or Neteller, you won’t be eligible for the bonus. Bethard online casino offers a variety of other promos to suit UK gamers. Be sure to sign up to the casino’s mailing list so you never miss out! Each week, slot players can look forward to select slots from major software providers with cash prizes of up to £100 for the top 50 finishers. 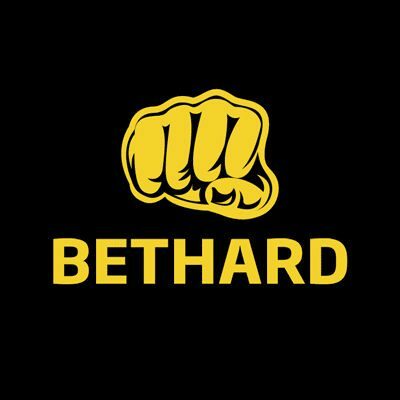 Everything on the Bethard Casino platform is ultra-safe, including the transactions. There’s no need to worry about cash as it’s delivered in the most secure manner. Other than Zimpler, you can use all of the above methods for withdrawals. The casino aims to pay out money within a couple of hours when you choose e-wallets like Neteller and Skrill. If you prefer bank transfer or credit card, it can take around 48 hours before you receive your money. There are no payout limits at Bethard, which is always a good thing. Bethard Casino gets their games from four different iGaming software developers, including Quickspin, Evolution Gaming, NetEnt and Microgaming. That means you’ll find a huge selection of products on offer to suit all sorts of gaming styles and bankrolls. There’re tons of popular slot titles, too, like Muse: Wild Inspiration, Theme Park: Tickets of Fortune, Hot as Hades and Shaolin Spin. There’s also a decent selection of progressive jackpot slots with popular titles like Major Millions, Cosmic Fortune and Mega Moolah Isis all on offer here. If you’re more of a card and table game player, you’ll find all the usual suspects at Bethard, including blackjack, roulette and baccarat. With the arrival of faster and better technology and faster internet speeds, online casinos continually have to come up with new and unique ways to engage players. In recent years, this has come in the form of live casino games, where you can enjoy all the thrills of online gaming along with the sounds and chatter of the real deal in real time. With live casino games, you can interact with the dealer and enjoy all the excitement of a real casino atmosphere without having to leave the comfort of home. At Bethard Casino you will find three main live dealer games in the form of blackjack, baccarat and roulette. You need a real player account with Bethard to access the games and there’s no opportunity to play in demo mode. All the live dealers operate out of a professional casino studio and the video feeds are broadcast in real time. So, you get real dealers, real cards and the spin and win of real roulette wheels. You get to hear the cards shuffling, the ball dropping and so much more. Bethard’s live dealer casino is brought to you by NetEnt and Evolution Gaming and really do add something extra-special to your online gaming experience. There is also Caribbean Stud, Casino Hold’em and Three Card Poker to be found in the live casino section. A mobile casino needs to provide high quality gaming on the go. This is exactly what Bethard Casino’s mobile platform offers, and then some. This operator understands you want access to your favourite games wherever you are, whenever you want to. This is also why Bethard has its own mobile app. When you join this online casino, you can access your preferred games from your iOS or Android device. You can play keno, scratch cards and slots, as well as a few table games on the move. You can even access the sportsbook for sports betting whenever you feel like it. In other words, Bethard makes sure you never miss out on any of the action. In Europe, particularly, casino licenses determine the basis of operations. That’s why Bethard Casino is proudly part of a leading licensing corporation. It’s a basic legal requirement that has to be in place for a casino to operate. Hence, Bethard online casino is licensed and regulated by the Malta Gaming Authority, as is its sportsbook. Along with Microgaming and NetEnt, the online casino operator has the authority to operate in the UK. Bethard brings you a revolutionised platform and strict safety measures to protect you and your finances. 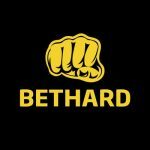 Your safety at any casino is a big deal, and Bethard knows it. Under the Malta Gaming Corporation, safety is paramount. From your deposits and withdrawals to handing over personal information, Bethard uses the best-in-class safety and security technology to keep your data under virtual lock and key at all times. What’s more, all the games at this casino use a Random Number Generator to ensure that the outcome is always fair, and every player has a fair chance of winning. The casino further supports responsible gambling every step of the way. Customer care is an important part of any online casino. That’s exactly why Bethard online casino offers plenty of ways to get in touch with their highly trained and super-friendly team of customer support agents. From live chat to email, the customer support department is on hand 24 hours a day, all year round to attend to your questions and concerns. There’s also a well laid out FAQ section that covers issues like signing up, logging in, bonuses, deposits and so on. Bethard online casino is simply slick. It’s quickly established itself as a major player in the industry and its slot offering alone is enough to get us rushing to sign up. The live dealer section has a really good amount of games and there are plenty of banking options available to suit all kinds of UK players. There’s everything from classic titles to the latest titles and tons of options in between. But where this casino really stands out from its online gambling competitors is in their continued free spins promotions. The site has even announced its intentions to strive to become one of the most generous online casinos on the globe. With its region-specific promos and zero wagering requirements on most of their offers, we see no reason for them not to achieve this goal. All in all, Bethard casino offers an exceptional gaming experience that’s hard to fault. Don’t believe us? Sign up today to find out for yourself and enjoy the bonuses and promotions.